Auslogics Duplicate File Finder will help you locate and remove useless file duplicates to free up disk space and better organize your file collections. You will have full control in being able to look through the list of duplicates and decide which copy to keep. 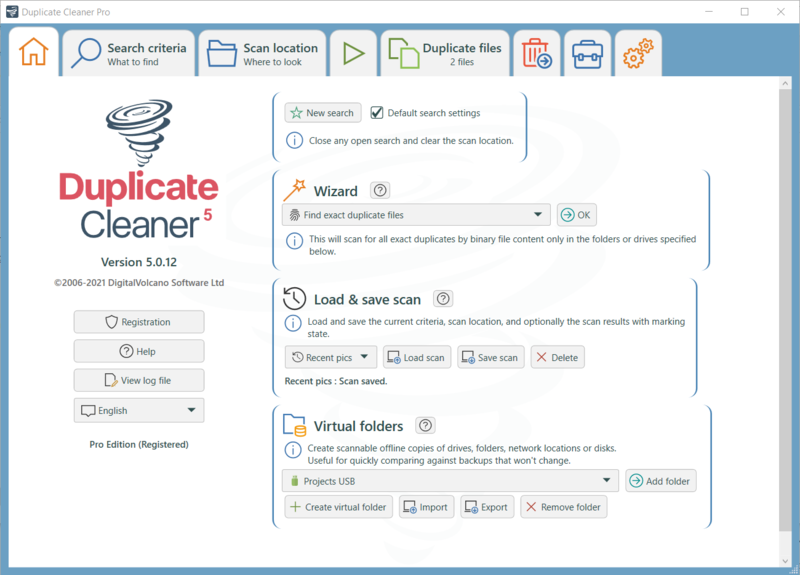 Duplicate Cleaner is a useful program to help you organize the contents of your home hard drive or corporate network. You’d be surprised just how many redundant or duplicate files you could find forgotten in an obscure documents folder. Duplicate Checker is a powerful tool for finding duplicate images, photos, mp3s, ipod files and any other files. Using this utility you can organize files on your hard disk or server storage. Glary Duplicate Cleaner is an supremely easy-to-use program that helps you to find and remove duplicate files on your computer. It will deep scan for all types of files – photos, music, films, video, Word documents, PowerPoint presentations, text files – you name it, if it appears twice on your computer then Duplicate Cleaner will find it and help you to safely remove them to save space for you. 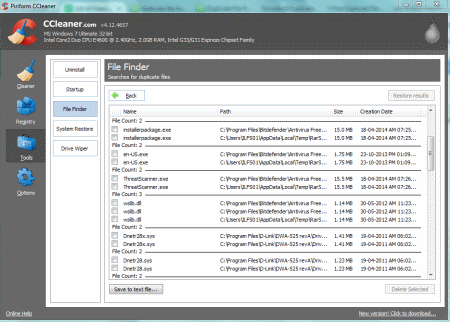 CCleaner is a free and easy to use system optimization tool. It can search for duplicate files in your disk. You can find duplicate files using different criteria Name, Size, Modified date, and Content. It also has a ignore list. You can search and find duplicate files and after getting results you can select the checkbox of duplicate files to delete. It is easy to use tool. 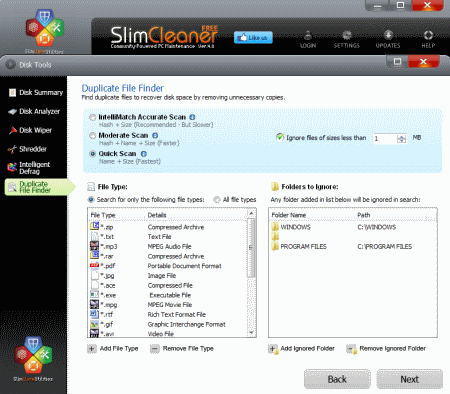 SlimCleaner is a disk management software. It also has a Duplicate File Finder tool. It has three settings: IntelliMatch Accurate Scan, Moderate Scan, and Quick Scan. Also has an option to search with specific file types or all file types. It has a list of folders to be ignored. You can find duplicate files and from the results you can select duplicate files to delete. By deleting duplicate files you can recover valuable disk space. 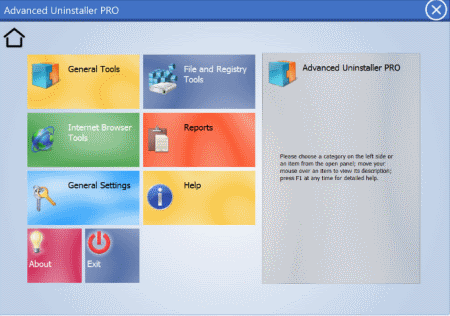 Advanced Uninstaller Pro is a set of various tools. 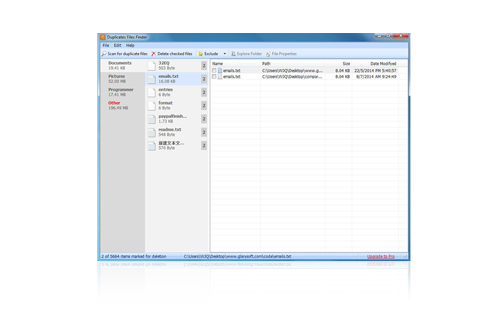 It also has a free duplicate file finder tool. It scans the disk for duplicate files and shows you a list of these files. You can easily delete them and save your disk space. The program is available free and has an easy to use interface.